Technically, business intelligence or BI has been around for centuries. It is simply the review/analysis of business data. Traditionally, this review had been focused on the past performance of financial data which was easiest to access. As this was financial data, the only people who had access were senior management teams and lower level employees were provided little, if any information. Fortunately, we have come a long way since the old days. Financial trends have become easier to access and report against, and we have gotten better at creating and using tools to let us peer into the murky future. Solutions such as resource (people) planning, project planning and CRM (client relationship management) now allow us to track what we see on our immediate horizons. With a combination of these past-looking and forward-looking tools, we can provide a comprehensive view of our performance and where we see upcoming opportunities. So, here’s the new problem. We have access to so much information that it is easy to get overwhelmed. There needs to be a way to draw our eye to a potential “opportunity.” We have also restructured enough that simply having a team who looks at the information and communicates the “opportunity” down the channels isn’t enough. We now require everyone in the company to see the potential and act on it. Modern BI tools are the solution to this problem. They allow for consolidation of information into a single data warehouse, so management can see the trends, but this information can also be maintained ‘real-time’ or very close to it depending on the situation. The information can then be presented in a cohesive format that provides an easy view of how the company is performing against its goals. Furthermore, this information can be disseminated through all the employees (as appropriate) so they can then make informed decisions about their day to day priorities. Additionally, with our mobile workforce, modern BI provides people access to what they need when they need it. Ultimately, the best BI will offer a visual that will call out an issue (or opportunity to improve) and then allow direct access to the data to see what the detail is. This information will be available to her at the job site, the soccer match or while she grabs a coffee on the way to work. Modern BI tools are very convenient and effective. Today’s BI is the best way to stay in touch with your company’s performance. 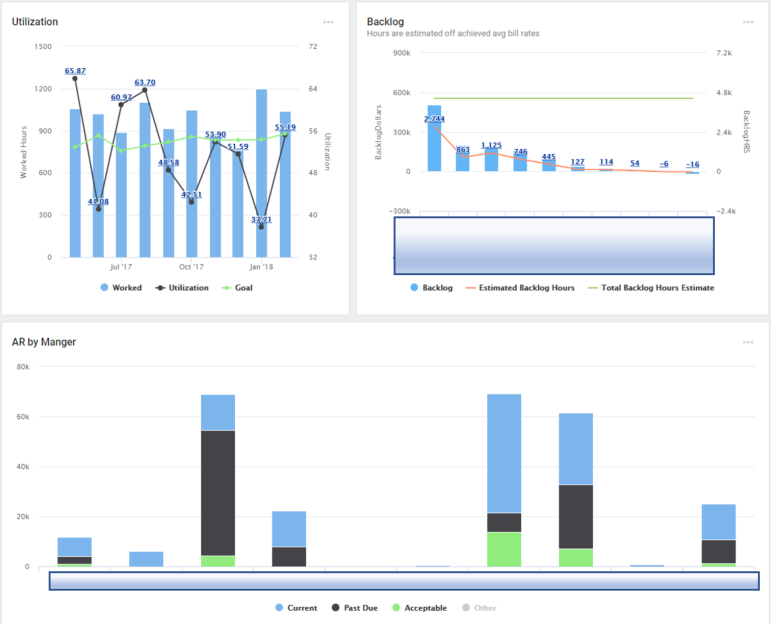 A responsive, well thought out BI tool will allow the company to focus on performance metrics that can easily be drilled down to the individual and rolled up to the management team. This modern BI will enable everyone on the team to pull in the same direction and ensure success for the entire company.